View the entire table of contents for the Aug. 31, 2013 issue. Today, cutting-edge Provence rosé estates, such at the top-scoring Chateau d'Esclans, are using Burgundian winemaking techniques, such as barrel fermentation and lees stirring, to push the quality envelope. The celebrity of rosé has been enhanced by its popularity among pop singers and movie stars. Provence's sunny climate has long been conducive to grapegrowing and entertaining, both to the benefit of rosé. Wine Spectator's Kim Marcus explains. 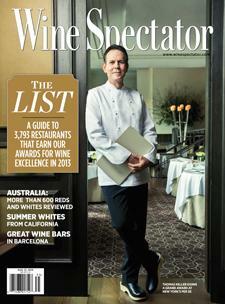 For the full article, check out the new issue of Wine Spectator, on newsstands July 23, 2013.